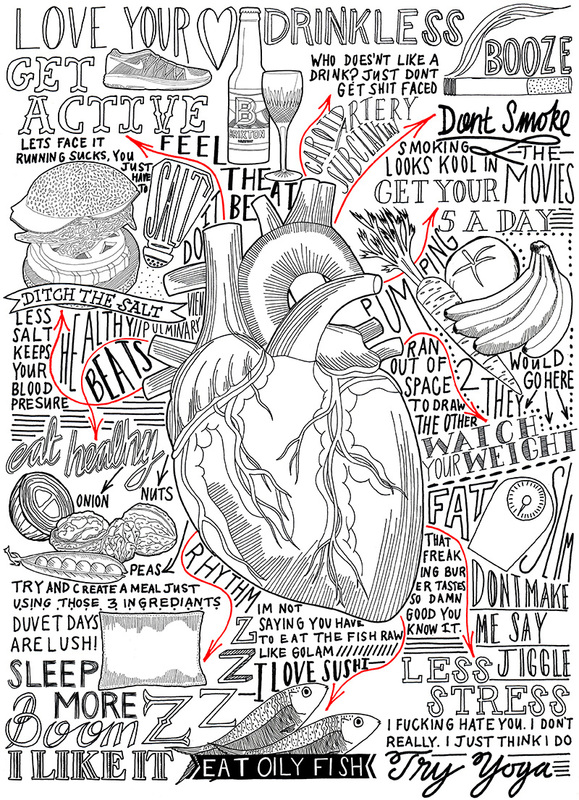 Hand drawn annotated heart by Jitesh Patel. This typographic annotated illustration is mix of hand drawn illustrated drawings and combination of different typographic styles. 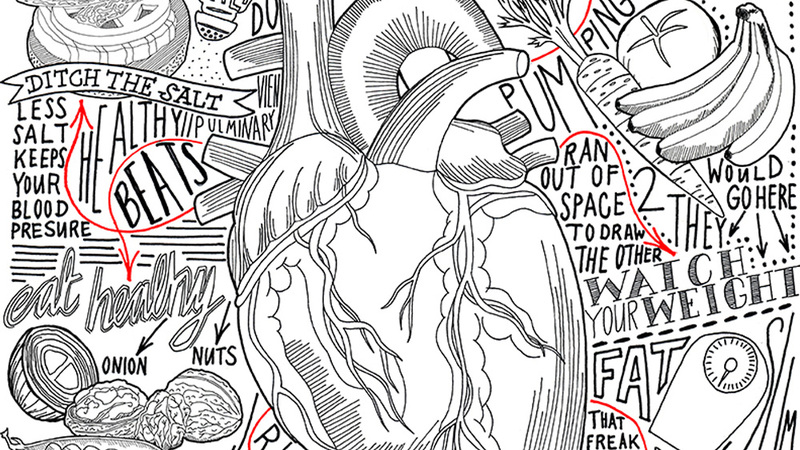 This illustration is a message and serious thoughts of keeping healthy heart injected with humours message.